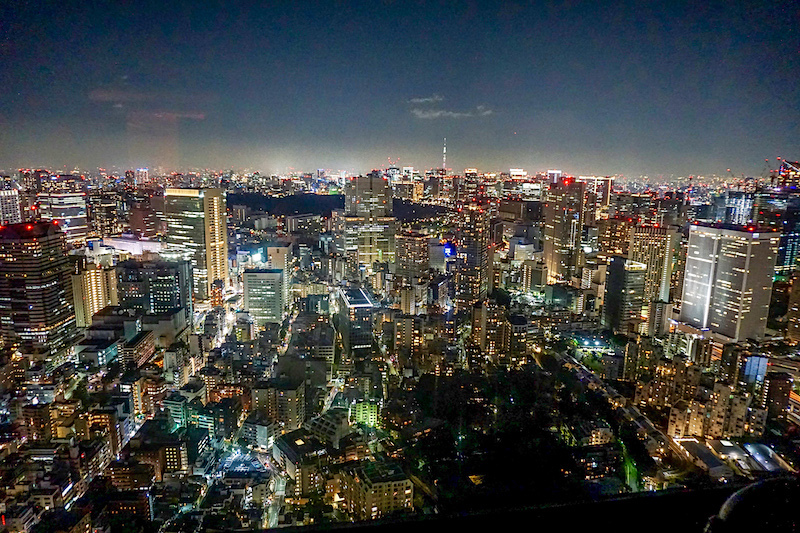 If you want the very best views of Tokyo with 360-degree panoramic vistas including Tokyo Skytree and Mt. 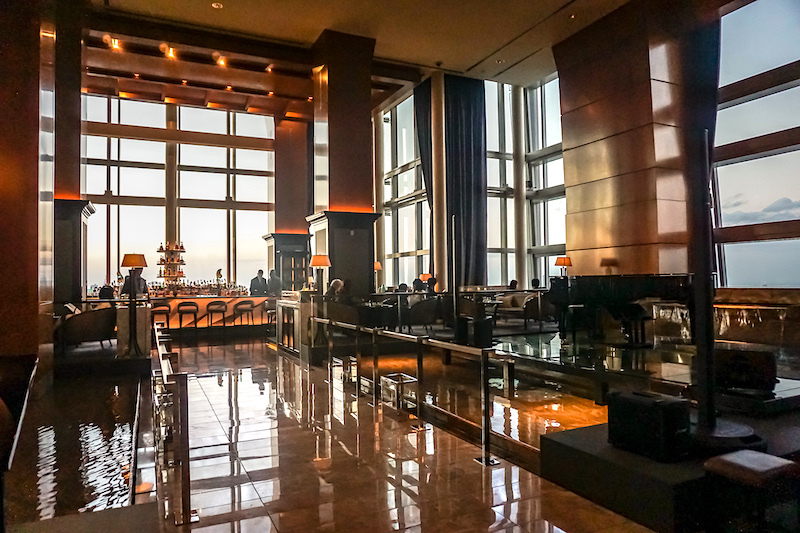 Fuji, then you can’t go wrong in choosing The Ritz Carlton. 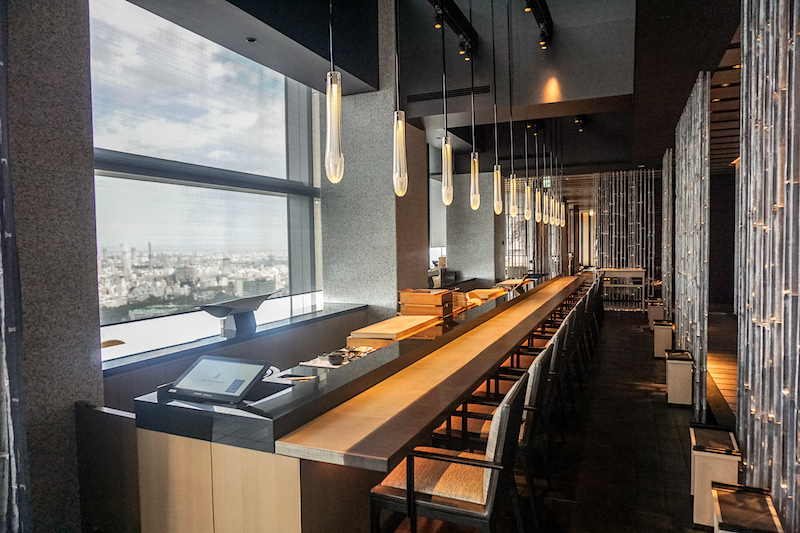 Tokyo’s tallest hotel with its striking 45th-floor Sky lobby and convenient location above Tokyo Midtown shopping center and Roppongi Station is a sure bet. 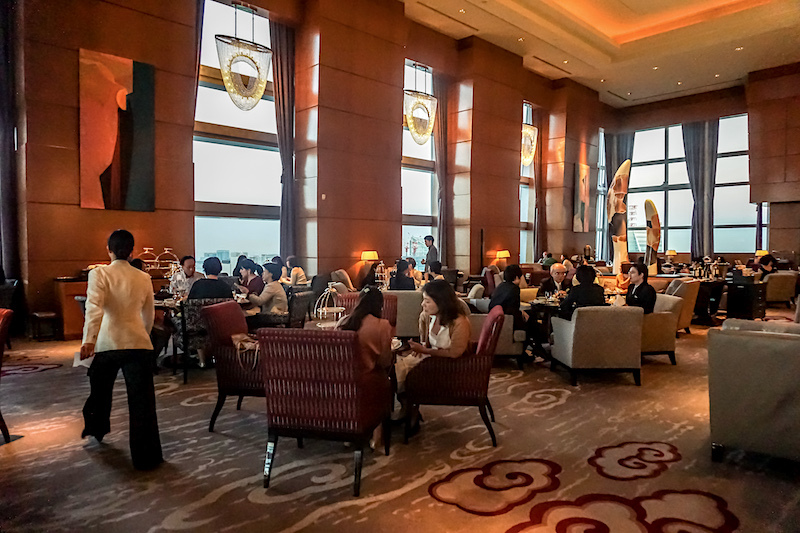 As always the Ritz Carlton service is above reproach, and the overwhelming sense of welcome is just the ticket in a country where you only know a few words of the language. 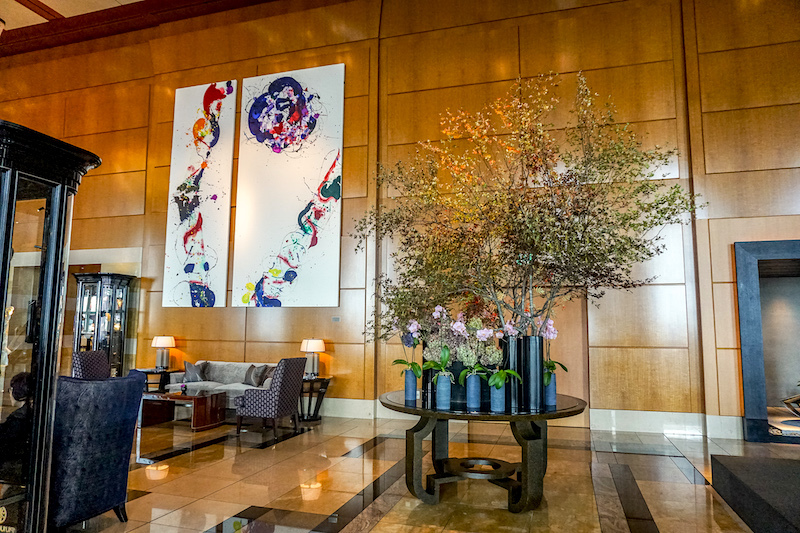 The lush lobby is a delight, filled with massive flower arrangements and water features, and afternoon tea in the lobby lounge is quite the place. 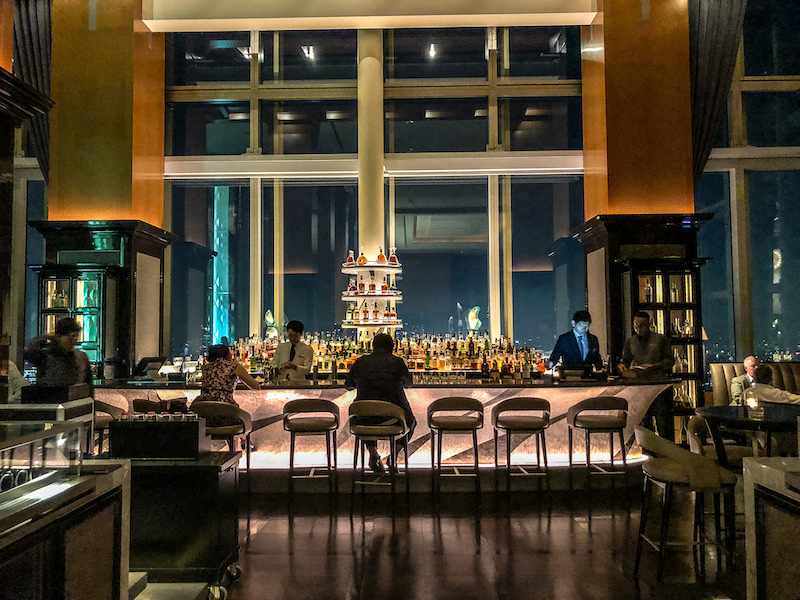 But it is the hotel’s “wow” of a bar with unparalleled views of the city and 120 different varieties of whiskey (if you haven’t yet tried Japanese whiskeys you are in for a treat) that got my attention. You could sit forever here, sip cocktails, and stare at the twinkling lights of this amazing city. 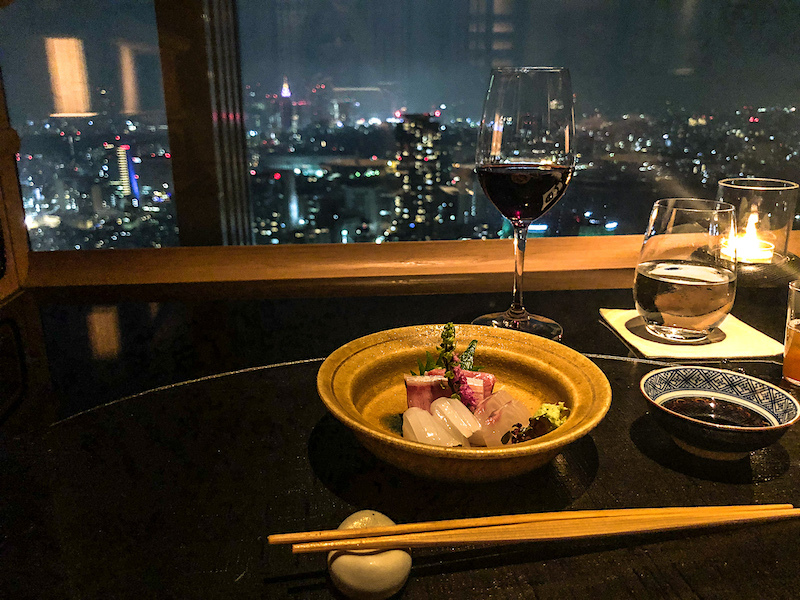 We enjoyed dinner our first evening in the hotel’s 45th-floor, multi-use, sleek and contemporary Hinokizaka, where you’ll find four separate areas featuring the best of Japanese cuisine: kaiseki, sushi, tempura and teppanyaki. 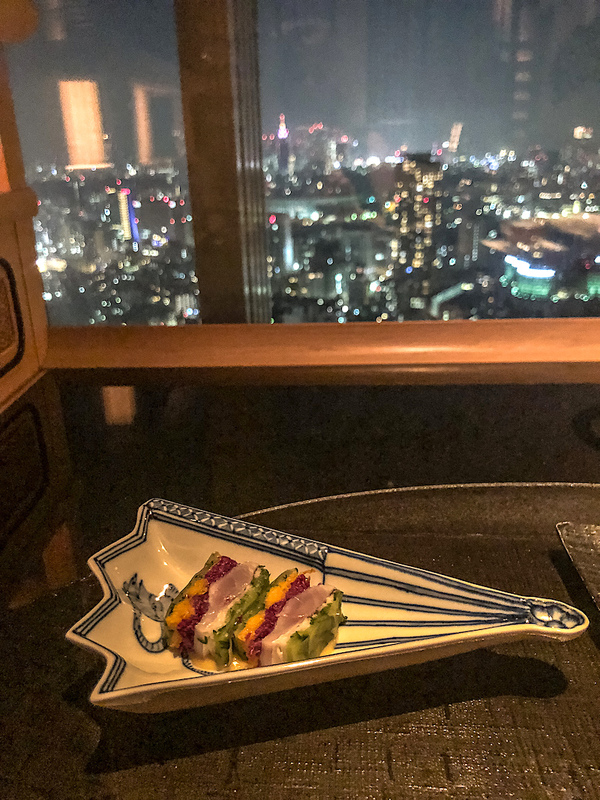 We couldn’t resist trying the multi-course kaiseki, where seating for two faces the wall of windows overlooking the dramatic vistas of the city. 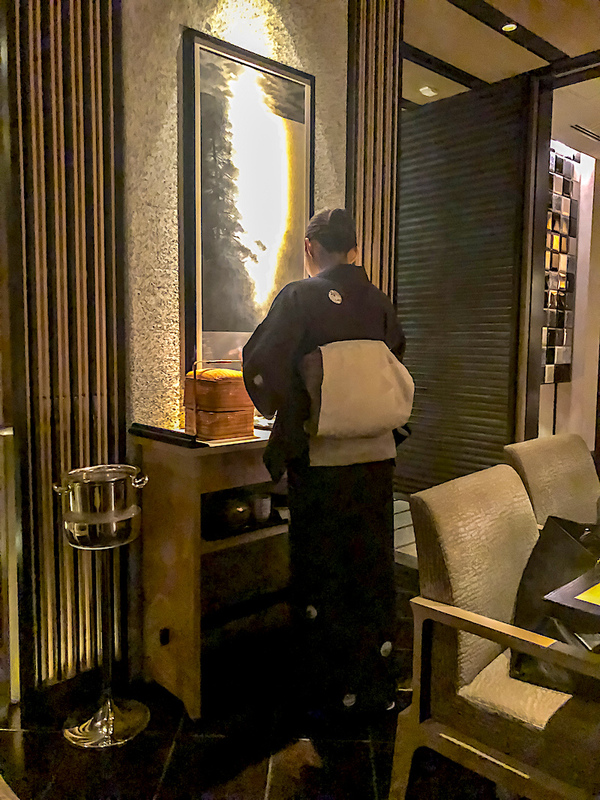 Waited on by a pleasant kimono-clad hostess, service here was exemplary as was the food. 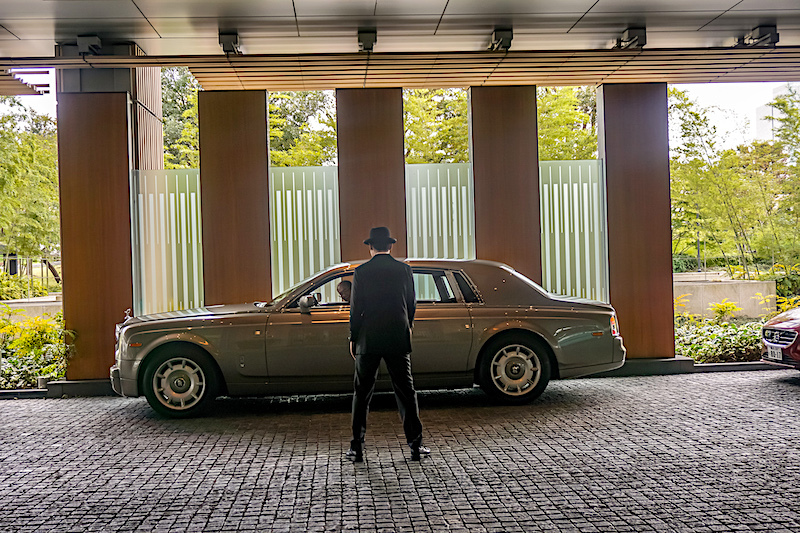 You must book airport transfers with the hotel’s limousine service, which includes a Rolls-Royce Phantom! 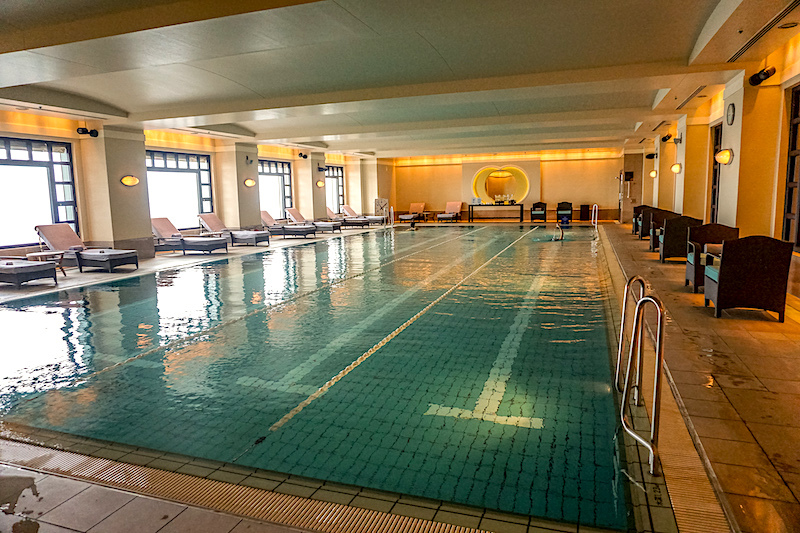 And the 20-meter lap pool is phenomenal, where on clear days you are treated to a view of Mt. Fuji. What could be better? 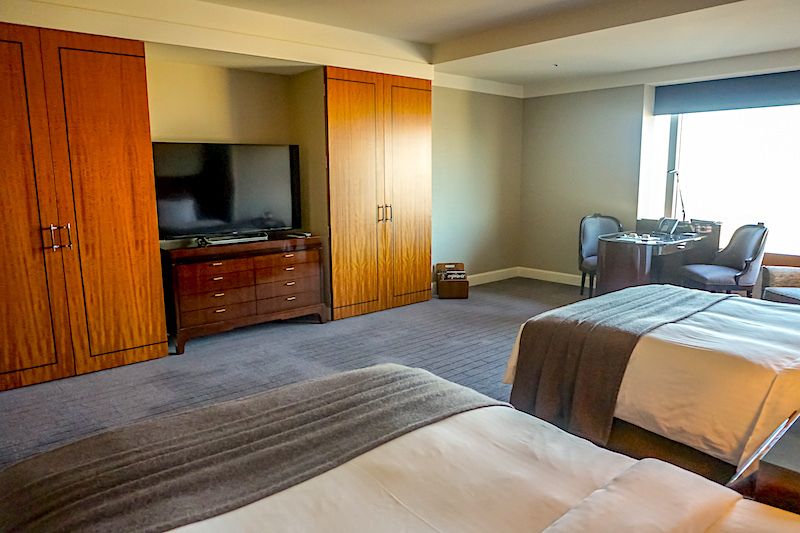 The only slight disappointment was in our somewhat dark and slightly bland Deluxe Room (although spacious at 560 square feet), done in shades of grey, purple, and red. 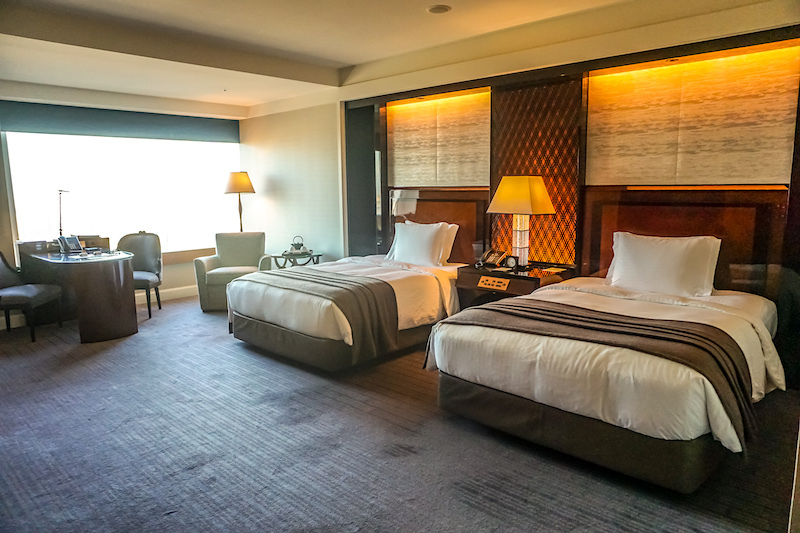 The luxurious bed, however, was just ticket after a long flight from the West Coast with its comfortable mattress and deluxe linens. 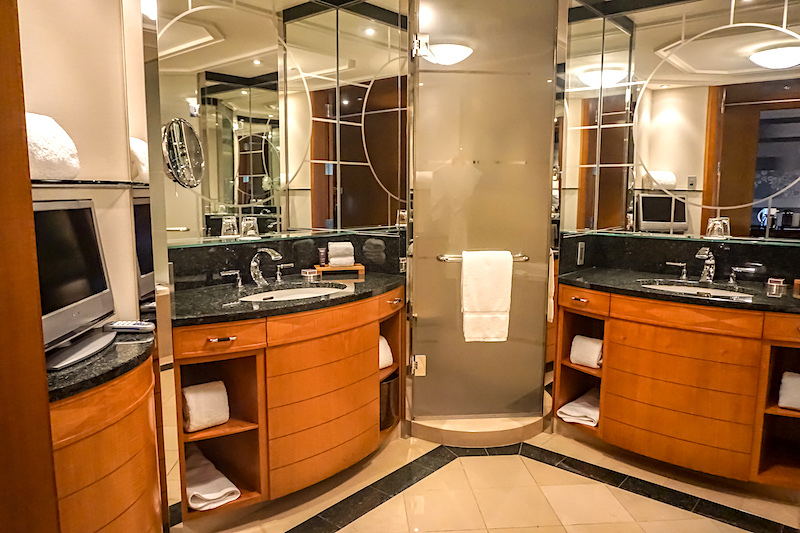 The marble bath was nice and roomy with two separate vanity sinks, corner shower, “smart” Toto toilet, and deep tub. And it’s tough to complain at all when what really matters it the chance to eyeball that amazing view from your window! Hey Cara. 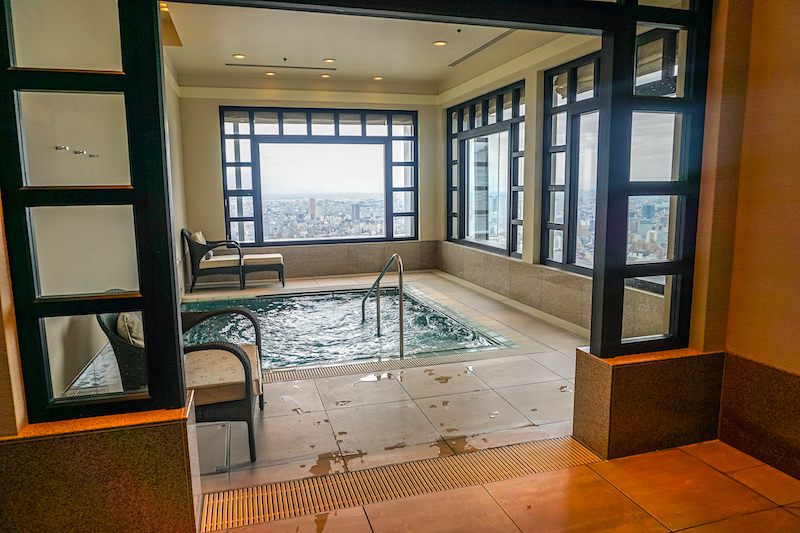 The pictures of Ritz Carlton look fantastic and reflect the vibrance & vibes of Tokyo. Adding it to my travel bucket list.